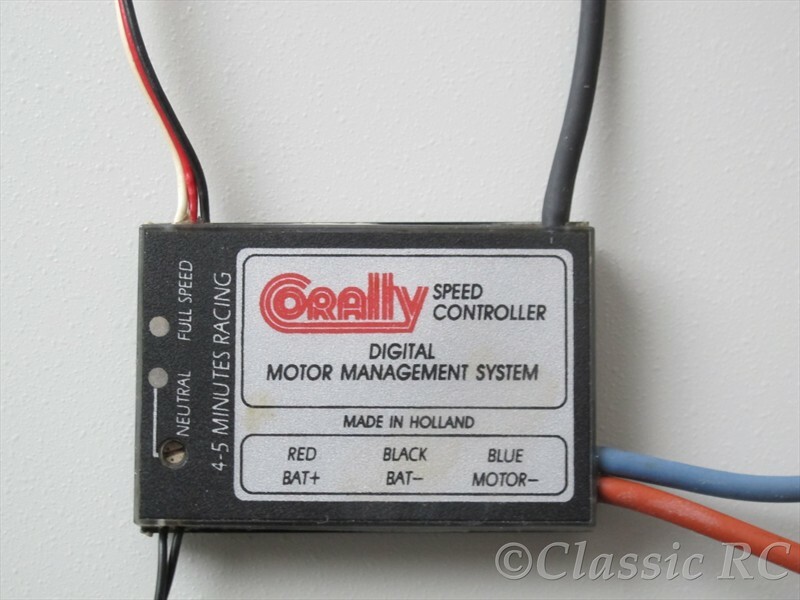 In 1987 Netherland´s Corally introduced their first electronic speed control, the famous Corally Motor Management System (MMS). This MMS had been developed together with Philips Electronics, a leading company for industrial electronics and also based in the Netherlands. But the MMS was much more than just another electronic speed control. By then ESC´s had been using an analog servoamplifier as the main control system, resulting also in the typical low switching frequency of 50 – 60Hz. This was not really perfect for efficiency and lifetime of the motor´s commutator and brushes. The Corally MMS was the first ESC using a digital custom chip, so several new functions were introduced to speed controls. A new high frequency of about 2500Hz forward and 5000Hz brake was used now, also a current limiter what was fixed to 40 amps for the 8 minute version and 80 amps for the 5 minute version. Additional the radio setup was improved, with just the need of adjusting neutral position. Full throttle position was auto adjusted by the MMS. Beside the new functions and improved efficiency, the MMS also was very different in build and appearance. Using surface mounted components, a very low height of around 1/4″ (6mm) was the result for the 8 minute version, intended for 1/12 racing. For improved heat transfer, a ceramic board was used instead of the usual fibreglass PCB. Because of the thin shape, the MMS was known also as the Credit Card ESC. 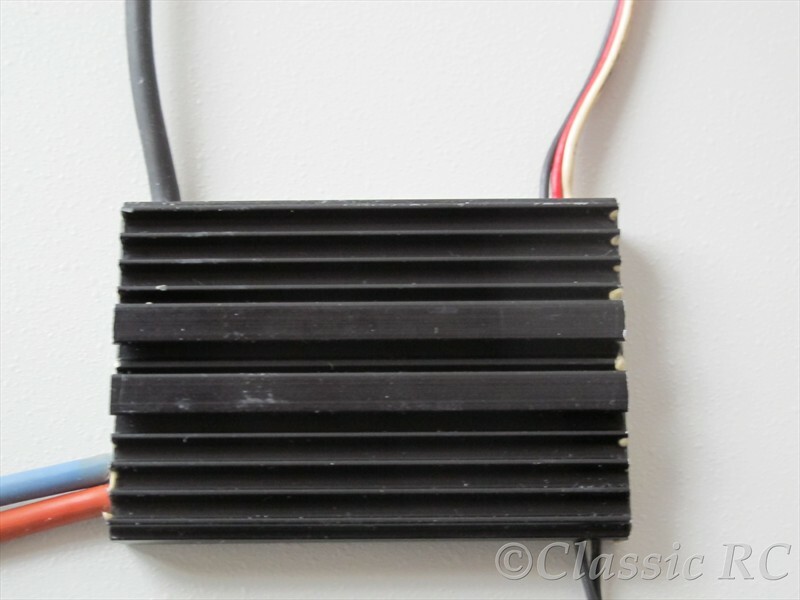 For heavier offroad cars or more powerful motors, there was also the 5 minute version which used an additional heatsink.